(Text automatically translated) Lovely penthouse situated in a small residential complex of recent product. It consists of 1 double bedroom, 1 triple bedroom, kitchen-living room with access to terrace, bathroom with balcony. E 'equipped with every comfort and overlooking the main street, is 200 meters from the fine sandy beach and crystal clear waters, complete with all the entertainment for both adults and children in order to make the holiday memorable. Tutto perfetto come descritto nel sito. Proprietario molto disponibile e cordiale. Consiglio vivamente soggiorno presso questa struttura. Spero di ritornarci presto. Die Wohnung ist mindestens so schön wie auf den Fotos. Die Ausstattung ist super und alles ist neuwertig. Claudio ist ein sehr netter und unkomplizierter Vermieter bei dem wir jederzeit wieder buchen würden. Ciao Stephan, contraccambio le belle parole, anche per noi voi siete stati delle ottime persone. Vor Ort war alles so wie auf den Bildern , und noch besser ! Wir haben uns in der Wohnung super wohl gefühlt . Der Vermieter war sehr hillfsbereit und sehr freundlich . Wir können sagen DANKE CLAUDIO es war alles super . Wir hoffen das wir möglichst bald wieder nach Bosa Marina kommen , und wieder Gäste in deinem Haus seien dürfen . Nochmal Mille Grazie Claudio . Ich hoffe wir sehen uns wieder ,bis bald . grazie per le belle parole da te espresse. Siete stati degli affittevoli cordiali e premurosi avendo cura amorevolmente dell'appartamento e lasciandolo esattamente come l'avete trovato cioè in perfetto ordine. Spero vivamente di rivederci presto. Un caro saluto da Claudio e famiglia. Parfait . Bel appart bien situé près de la plage avec parking sécurisé . (Text automatically translated) Here's how to reach us from all major ports and airports of Sardinia. Alghero airport 40 Km, 75 Km from Porto Torres port and airport, 180 Km from Olbia port and airport, 160 Km from Cagliari port and airport. 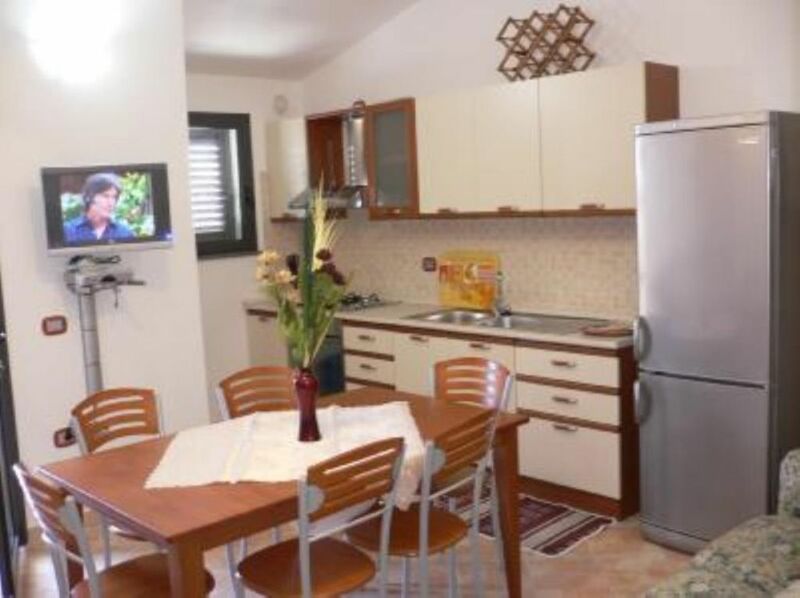 (Text automatically translated) The apartment is located 200 meters from the beach, where you can find shops, restaurants, pizzerias, bars, pubs, pub, boating sea / river, hiking, green train. The local cuisine based on fish and shellfish is very famous of which stands the lobster. Within 30 km there are lovely beaches such as Arutas, PUTZU IDU, SAN GIOVANNI (see photo). Tariffe scontate in relazione alla durata, Per periodi superiori ad una settimana si applica un ulteriore prezzo netto. Caparra richiesta alla prenotazione, Consegna delle chiavi da parte del Proprietario non presente in loco.